From Melbourne Australia, Pinkque (Natasha Brekke) has always had a strong passion for music. Learning the art of piano and flute at an early age, she quickly fell in love with the structure and make up of songs. After discovering artists such as Tiesto, Armin Van Buuren and Gabriel & Dresden in her early teens, her love for trance ignited. At the age of 22, Pinkque decided it was time to take her love for music to the next level, and so her journey as a DJ began. Pinkque spent each spare moment building her skills and technique. Pinkque’s talent was quickly recognised and she started securing gigs across Melbourne including Melbourne’s popular trance venue Room 680. Pinkque has also played alongside Aly & Fila, Will Atkinson, Ferry Tayle, Daniel Kandi, KhoMha, Manuel Le Saux, Darren Porter, Gareth Weston and Photographer and has headlined at TranceXplosion in Prague, Czech Republic. 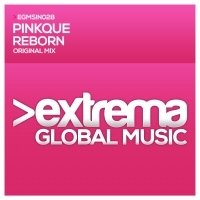 In October 2012 to April 2014, Pinkque launched We are Trance, a weekly radio show on TFB- Radio (Trance Family Belgium Radio). We are Trance has grown from strength to strength and in May 2014 shifted to the worlds #1 Trance Radio station - Afterhours FM, with monthly broadcasts of the show. We Are Trance has already received overwhelming support from artists including Mike Sonar, Gareth Weston, Alexandre Bergheau, Yura Moonlight, Manuel Le Saux, Darren Porter, Ferry Tayle, Fady & Mina, Ian Standerwick and many more. In November 2012 to February 2014, Pinkque became a Co-Presenter/DJ on Melbourne’s renowned radio station Kiss FM’s Trancegression show, alongside founder James and co-host Raquel and in September 2014 joined in business partnership and become the CEO/Managing Director and face of Trancegression Events. In June 2013 Pinkque hit the European waters for her first international gig headlining along side Darren Porter & Gareth Weston at TranceXplosion in Prague, Czech Republic. Pinkque has now taken her love and passion for music to the next level; one-step closer to fulfilling her dream by releasing her first remix 'One' by Manuel Le Saux in Jan 2014. 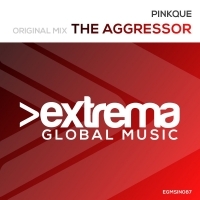 Pinkque is influenced by artists Armin Van Buuren, Ferry Tayle, Andrew Rayel, Aly & Fila, Alexander Popov, Manuel Le Saux and Darren Porter to name a few. Pinkque’s achievements and talent continues to be noticed, as she is regularly asked to participate in interviews to appear in online and print media as well as radio. With such drive and passion, there is no doubt that Pinkque will continue to grow to be an increasingly influential musician.